First appeared in Return from the Stars by Stanislaw Lem in 1961. When it comes to an interactive map, I think 3D. A recent example would be 2014’s Guardians of the Galaxy and the battle scene where the Nova Prime is watching the attack on Xandar via a 3D map of the city. Starring Chris Pratt, Zoe Saldana, Dave Bautista, Vin Diesel, and Bradley Cooper, the sequel to this incredibly fun movie is due out in 2017. Lexa Cain is just as interactive! This author maps out the book world and brings us the details, and freebies, every week. A means of propulsion used on spacecraft that allows a ship to travel from point to distant point without actually needing to traverse the space in between. A jump drive first appeared in 1963 in Harry Harrison’s story, Ethical Engineer. A great example of a jump drive is 1997’s Event Horizon. In the movie, the ship has folded space, jumped to a new location, and returned. (With dire consequences.) A creepy and disturbing science fiction film, it starred Sam Neill, Laurence Fishburne, Kathleen Quinlan, and Joely Richardson. Susan Gourley is no stranger to jump drives. This science fiction author explores many worlds beyond our own. And it’s always a fun ride! The first reference to a machine that could create sentences or write books. Found in Gulliver's Travels by Jonathan Swift, written in 1726. Since this is the earliest known reference to a computer, I decided to feature a movie with another early computer – 1983’s WarGames. The WOPR computer is a massive beast and programmed to continuously run military simulations and learn over time. Starring Matthew Broderick, Ally Sheedy, Dabney Coleman, and John Wood. Shall we play a game? Originally appeared in Sail 25 by Jack Vance, published in Amazing Stories in 1962. Also known as Gateway to Strangeness and Dust of Far Suns. And what comes to mind the moment you hear light or solar sail? 2010’s Tron:Legacy! The sequel to 1982’s Tron (which was ineligible for Best Special Effects because it used a computer!) was a visual feast with a great soundtrack by Daft Punk. (And those who criticized this film as an inept sequel really need to watch Tron again – it’s BAD.) The film starred Jeff Bridges, Garrett Hedlund, Olivia Wilde, Bruce Boxleitner, and Michael Sheen. Want to sail lightly through the writing waters? Nicola at Burggraf's Blog takes us on a gentle journey that enlightens! Very early realistic depiction of walking on the moon in low gravity. First appeared in Brigands of the Moon by Ray Cummings, published in 1930. One of the best movies depicting our first moon walk is the underrated film, The Dish, released in 2000. Set in 1969, it depicts the true story of an Australian satellite dish’s role in our first steps on the moon. Sweet, funny, and not lacking for sheep, it starred Sam Neil, Billy Mitchell, Roz Hammond, and Patrick Warburton. And of course, I can’t mention moon walk without including Wallace and Gromit: A Grand Day Out! The boys head to the moon in a homemade rocket to sample cheese. This appeared in a short story by H. Beam Piper, The Complete Paratime, published by Astounding Fiction in 1951. Marvin the Martian! While that’s not exactly one of the devices he used, it’s probably in his arsenal. Marvin’s most recent big screen appearance was 1996’s Space Jam, staring Michael Jordan, Bugs Bunny, Wayne Knight, Theresa Randle, Bill Murray, and a slew of Loony Tunes characters and basketball stars. Now, what happened to the earth-shattering kaboom? An interactive city guide by local travel writer and photographer Rhonda Albom. Fan of Guardians of the Galaxy? Did you know knowledge engine (basically a computer) was that old of a term? Think there might be a movie or two that used the term Moon Walk before it appeared in a story? Following those awesome bloggers? Picking up some new books? Or are you still waiting for the earth-shattering kaboom…? I'm in awe of your knowledge Alex! Great post. Great information. War Games is one of my favorite movies. Thanks for the reminder. I'll have to check Netflix to see if I can stream it. Will be good to see again...all that "ancient" technology that was so cutting edge at the time of the film's release. I learned lots of new SciFi words today. Thanks! Very interesting and exciting when produced "a jump drive" in books and movies. One of my favorite situations. Wonderful A to Z post Alex, such knowledge makes me speechless. You certainly know what your theme is all about. Fascinating to learn some of these terms and items have been around so long. Very interesting post, Alex. Congrats to all those with new releases out. The interactive map reminds me a little of the Hitchhiker Guidebook. It's pretty much interactive, but not 3D to my knowledge. War Games was a fun film to watch. See? I do watch occasionally. I finally picked up the DVD for Tron Legacy. Now, when will I get around to watching it? That's the question. Marvin the Martin, he also appeared in the 2003 film, Bugs Bunny: Back in Action. Which I really enjoyed because it also featured the Daleke from Doctor Who. Love the idea of interactive maps where *readers* can interact with a story world with a digital book. This is the kind of thing I hope publishers are moving to...because there are so many cool things we can do with digital! You are covering a lot of letters this morning. You really do put a lot of thought and effort into each of your posts. Guardians of the Galaxy is one of my favorite movies. I just watched it about a week ago. Moon Walk makes me think of Michael Jackson and his famous dance move that took the world by storm. How are you doing with A to Z? Are you feeling burnt out yet? Mention "Moon Walk" and I now first think of Michael Jackson, but then I think of that first walk in the summer of 1969 shortly after I had graduated from high school. I was an exciting summer. I still haven't seen Guardians of the Galaxy though it is on my to-watch list. You are a wealth of information Alex. And here I thought Michael Jackson invented the Moon Walk. Go figure! Michele, and now you'll laugh at the size of the computer. Jeffrey, I missed that one. Tron Legacy is more spectacle, but it's still a fun film. Lisa, that's cool And you should write that story. Truedessa, and he wasn't even the first to do the moon walk. Not burnt yet. A to Z Lite has really helped. Lee, you need to watch it! I learnt a lot of new Sci-fi terms today, the Light Sail sounds pretty poetic to me. Beautiful image in my head, thanks! I LOVE Guardians of the Galaxy - I think one of my fave movies in fact. Thanks so much for giving me a shout out for Martinis with the Devil!! I'm using Solar Sails in a new series I'm writing. Very cool concept that may be employed soon by NASA or private industry. Thanks for the info for letters i-n! Didn't realize that the idea of a jump drive was over 50 years old. Have a great week! I have Ada Byron in many of my alternate history novels -- she invented the first computer language 100 years before the invention of the computer. She helped Babidge in his own Knowledge Machine. Have a great week! I love The Dish! Every time I mention that movie to anyone, no one knows what I'm talking about. Definitely underrated. My head is filled with so much information it may burst open. I never knew science fiction was so complicated. Will pay a visit to the blogs you mentioned. Have a great week. I loved the solar sail in the Tron movies. It's such a graceful ship. I got to read Rhonda's book early and I can't recommend it enough. I never know what specifically to comment on - you pack so much great stuff, and shoutouts to great people, in each blog post - seemlessly. Glad to see Stephen of the ChubbyChatterbox included. The Dish is a good one indeed. Some great bloggers too. Knowledge engine is a new one to me, never really heard it said like that before that I recall. Hopefully Guardians 2 is just as good as the first. As soon as I saw "light sail", I thought of Tron. The 1982 version was amazing. By today's, standard, of course it looks dated. But it was a revolutionary concept thirty-four years ago. I wonder if a "jump drive" is possible in the near future. How cool would that be to skip the years of in-between travel! I am a fan of Guardians of the Galaxy. Looking forward to the sequel. And I had no idea the term 'knowledge engine' existed. A to Z Lite is an interesting idea. Would certainly make this a much easier challenge! I had no idea "Moon Walk" was such an old term. Interesting tidbits here. Nice to see our musical friend Shady Del Knight. I remember seeing War Games in the theater! I can't believe it was that long ago. Sigh. Now I feel old. You are making strides in this #atozChallenge. All the way to N already! I'm going to have to re-read Gulliver's Travels. I don't remember that map. I really enjoyed Guardians of the Galaxy and am looking forward to the sequel. I love Marvin and those weird birds with the flower on their head. War Games was great and I didn't know Tron wasn't accepted for best special effects because they used a computer....talk about the wrong time. I love that you showcased some great people here and they must be pleased. Chatterbox is an amazing artist! I love Shady's humour and everyone else...just grand. Who do you think will win Face Off? I really liked that one huge beast where the guy didn't have to fix it up too much...I am going with him so far.but the blond guy is really talented. An interactive map sounds fun. And yes, I follow Lexa. Hope you feel like you're surviving A-Z better this year. You covered lots of letters here. Hard to know what to focus on. I really liked the movie War Games. Really liked. Just a note that you might find interesting... I finally saw the "new" Star Wars movie this weekend at the cheap theatre. It was very good. I'm not exactly riding at the forefront of what's hip and happening, am I???? Thanks for plugging me and my blog, good buddy! I never heard of The Dish but now I'd like to see it. I have enjoyed New Zealand actor Sam Neill in many films including For Love Alone (the first big screen appearance of my favorite actress Naomi Watts), The Hunt For Red October, The Piano and Jurassic Park. Thanks again for mentioning me in your post, good buddy Alex! War Games was a favorite. But the one thing I really like about your A to Z blogs is the way you always match the post to a person. Really sweet! Guardians of the Galaxy was such a surprise to me how good it was but I remember how good Event Horizon was but that was a long time ago? I loved War Games back in the day and many of those bloggers are familiar. Roland, I didn't know that. LG, it's a great film! Carol, and to think it wasn't nominated for special effects because they used a computer! Birgit, at this point, I think Walter will win Face Off. Robin, at least you've seen it. We bought the DVD and watched it this weekend. Thanks, Yolanda. And Farscape was a great show. Fran, it was good, but so creepy. Great post, Alex. I loved Tron - both the original and the remake. Thank you for sharing my 'gentle writing sails'. I've just started reading Yolanda Renee's new novel. Very exciting! Have a great week. I've always had a thing for Marvin the Martian, and I'd seen the old Tron and the new Tron, liked them both. Very interesting A to Z Alex. I love stopping by your blog and catching up on a million books, cool facts and sci-fi info. Yeah, I could probably use one of those. funny story: I was OBSESSED with Marvin the Martian as a kid. No clue why! Your A-Z Lite is refreshing! It allows me to visit you besides other stuff I have going on. I know you know, too well.Great theme too, (smile). Once again, I had no idea some of those terms were that old. As for the term moonwalk, I have to admit my first association is with Michael Jackson's dance move. I'm an Eighties kid to the bone. I wonder how many inventors get their inspiration from reading or watching sci-fi. It must happen sometimes, surely? I loved War Games (which I watched again this year), and I love Lexa Cain! I really need to see Guardians of the Galaxy. Yes, like Al...Knowledge Engine? I must have missed that part when I read the story. Love your theme. Easy peasy to read and learn. Thanks! Oh, this was my favorite post-so far! Now, I need to visit all of the people mentioned~ Today, your blog has this party post feel! Cheeeeese, Gromit! Now I kind of want to see that again. While snacking on (moon) cheese and crackers. I also want to see Event Horizon again. I love that movie. Still creepy as hell after all these years. I suppose the GPS on my phone would be my interactive map but still, it sometimes gives me wrong directions. I really like your terms theme. My favorite thus far is knowledge engine. We talking out my dinner table yesterday about we Google everything for our knowledge. I love the idea of interactive maps--then maybe I'd have someone/thing to yell at when the traffic backs up. I'd forgotten all about Marvin the Martian. I remember him from cartoons when i was a kid. Loved Guardians of the Galaxy and Marvin the Martian! Had no idea that a computer was referenced that far back! Cool! Yay for Marvin the Martian. I really liked that character growing up. guardians of the galaxy sequel? 2017? Chris Pratt is brilliant! Wallace & Grommet is a big favorite here. Wish there could be more! Beth, must've been the earth-shattering kaboom. Patsy, I bet a lot. Andrew, that's why I picked it - because I liked it. Ella, bring on the party! Brandon and Bryan, they're both great! Susan, they need to do more movies. ANOTHER information packed post. Thank you so much. And a movie I have actually seen (Wallace and Gromitt). Last time I went to our National Library for an exhibition there was an interactive touchscreen map. I spent ages there, and could have spent much more. A big one this time :). Those ideas are so cool. Some of them are even possible in our lifetimes. And there's even already been a few moonwalks! I've often stated that i'm in rehabilitation, well my CEOs MOM passed on over the weekend. I'm hoping shes up there amongst the stars looking down upon us all smiling as I write these words. I never met her but hopefully she'll high five all those happy gremlins running wild in the botanic gardens close to her door. Thank heaven for those space gremlins, I think a few landed on Earth. I love all the movies you mentioned (except I haven't seen The Dish). I think solar sails are such a cool idea. It's one of those things that truly sounds like it was designed by future people way smarter and more efficient than we are. I remember reading H. Beam Piper's Little Fuzzy when I was in high school. I really enjoyed it. Congrats to Rhonda and Alexia on their new releases! Have a great week, Alex! Thank you so much for mentioning me today, Alex. It was a grand surprise after a very rough day helping my husband at his work. Love Guardians of the Galaxy and my son keeps me up to date on all the upcoming sequels. I never heard the term knowledge engine. My oldest son watched Space Jam so many times when he was little. These posts are all so much fun! I had no idea that a lot of these terms were from such early books! Love Marvin. He's my favorite Looney Tunes character. And "Event Horizon" was one of the creepiest and most disturbing films I've ever seen. So good story-wise but SO GROSS otherwise! I happened to stumble apon Event Horizon when I was flicking through the TV one day and it was awesome. I've found so few other people who have seen it. I also like Marvin the Martian, what happened to that poor guy? Also, I've tried sending a couple of emails about the email list for QotM but they don't seem to be getting through. Are you still at that same earthlink email address? Fascinating. I never tire of your movie knowledge and basis of words! Thanks! Marvin!! I like the little guy, he makes me laugh. I'm thinking of the scene where he nonchalantly says he's going to blog up the Earth, lol. I'm really looking forward to the next Guardians of the Galaxy movie. Great list for I-N! Love GotG, but you knew that. I follow James Gunn on Facebook and they're filming #2 right now! He's always posting pictures of him and Michael Rooker. Marvin the Martian! Double yay! Hi Alex. Looking through the Sci-Fi offering Moonwalk somehow catches the eye! Reminds one of Michael Jackson. 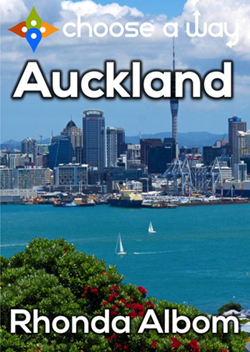 Of the new releases Auckland is an attraction as Hank has designs for a visit there! Hey Alex, you mentioned several films I have seen or even own. Guardians of the Galaxy and The Dish being a couple. I love the Dish. It is not strictly true I understand, but still kind of realistic. I remember War Games too, a very scary story. I am astounded that Knowledge Engine is that old, but then there is a documentary, The Story of One, which actually shows that the early Egyptians (I think, it's a while back) had some math system which was a precursor to computers too. The Imitation Game is another movie I own. Interactive map? Isn't that the thing we now have on our phones? We do indeed live in the future. How the term jump drive has changed. You have a nice array of authors. I'm always amazed at all you do for others. And I don't know how you do it anyway--you visit SO many blogs every day! I'm replying to a few comments each day but mostly I'm putting my efforts into visiting as many blogs as possible. Fortunately I prewrote everything in March...otherwise, I'd be crazy! Susan, glad it cheered your day. Michael, I am. Sorry they aren't getting through. I will email you tomorrow morning. Heather! I am here to entertain! Jo, amazing how far back the concept goes. Knowledge engines sound intriguing. I first thought about computer jump drives when I saw that term. Love Marvin the Martian. He is not acknowledged enough. Of course a writer predicted the computer. We are an awesome species. Tron 2 was beautiful and so was the animated series Disney XD murdered. Putting a kid's shows new episodes at midnight is tantamount to television treason! I liked Guardians of the Galaxy. Glad there is a sequel. Now, I'm thinking of the moon walk move by Michel Jackson. Happy challenge writing and reading! 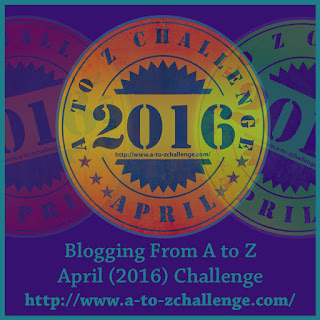 J here, of the #atozchallenge Arlee Bird's A to Z Ambassador Team. Thanks for stopping by Arlee's blog to comment on my Manhattan story. How was the first week of the challenge for you? Are you meeting your goals of posting and hopping to other blogs? My blog's giveaways are still going! Interactive Map... I forgot what your theme was for a second and tried, repeatedly, to click on that. Because I WANT IT. Wait, it's 2016, and we have Kindle, tablets, smartphones, etc... and we STILL don't have these? Especially for fantasy, sci-fi, and historical ebooks? Someone get on this! NOW!!! I want it. I need it. Now that the idea is in my head, I can't imagine how we're living without it. Have you seen the Game of Thrones (tv show version) opening credits? Picture that happening every time the location changes while reading the book. Sorry, my comment has gone off the rails. WHY DOESN'T THIS EXIST??? I have some printed/real fantasy books with a map drawn in the front, which I've flipped back to in order to figure out the location being referenced by the characters. But imagine if I could just click the place name and a map would pop up when reading those books on Kindle. Imagine reading Harry Potter with the Maurader's Map at your fingertips on nearly every page. I just geeked out so hard that there's no going back. Jump Drive made me think of Stargate Atlantis. Knowledge Engine... that's definitely competition for writers. "I'm insecure that I'm not better than an AI..."
Light Sail is the most beautiful imagery in my head. Marvin the Martian!!!! Woot woot. Guardians of the Galaxy was awesome. I didn't know knowledge engine was a thing! where have I been!? I'm sure you're learning too along with the rest of us. Quite a post for the A-Z. I'm back from China, so can access the internet again. Netizens get a tough life in China. Random thoughts: I have the album of the first moon landing. The first computer was an abacus. Jump drive must be something like a telaporting for a spacecraft. What a really great post--Alex, you are one brilliant man. I'm impressed with your knowledge but also kinda proud now to be a writer. I mean--notice how so many writers come up with extraordinary ideas and give them odd new names, and then years later these ideas become real. Were these writers prescient or were they simply inspiring? Now that is what I call an epic post! I love Marvin the Martian. Loveable little guy. I've followed M. Pax...I'll have to check out your other recommendations. I actually saw WarGames back in the day. I think that's the only movie I've seen out of the ones you mention in this post. J Lenni, it should exist! Barbara, good point about the abacus. Elizabeth, they used a teleporter. But it could be considered a jump drive that was used in Dragon. Helena, a little of both. Who can't love Marvin the Martian?! And a touch screen map in 1961? Looks like we finally made it back to the future. Great stuff, my friend... I liked TRON, I hope they will find way for another one and not wait 30 years. Fun and interesting post! Interactive map....love it! I can't wait for the next Guardians movie! I confuse jump drive with thumb drives nowadays. Are jump drives the same as warp drives (you can tell what kind of sci-fi nerd I am lol). Event Horizon, now theres a film I'm going to watch again tonight because explained simply it just creepy cool to experience. 170 comments is wonderful and stunning, but would be way hard to keep up with. Whew! Those were really interesting. Some of the things we see in sci-fi all the time now (like the interactive map) we take for granted, but they must have started somewhere. What a great theme! I would love a 3-D interactive map! Oh man, Event Horizon! The jump drive ride to Hell! 107 comments, before I post 108 here. I have wondered how you could function during A to Z with your heavy presence. So A to Z light is more realistic than cloning yourself. Plus your post was pretty informative. Cheers. Big thanks for the mention Alex. (I have been without internet for two days). And this post, is great. I love your AtoZ light, although I think they are only saving you time in comment back - so many complete posts all wrapped into one. And so many interesting bloggers featured. While I don't always know the meanings of your words, I have usually heard of them. Knowledge Engine is new to me. I know Lexa, Susan and Nicola. Hope you're enjoying your guinea pig status in this A to Z Lite experiment, Alex! At least you can breathe a bit. It's amazing how the knowledge engine, once a sci-fi term, is now a scientific fact. We now have computers that can beat humans in chess, Go and even win writing awards. How long it'll be until we have jump drive technology or a neutron disruption blaster? Sorry, I'm late coming by, but love the terminology info on scifi terms, Alex. Most I them I have heard of, but had no idea where they originated. I've read some of MPax's work and I do like where her imagination takes us. I still would like the ability to download new info to our brains. And I've heard that they have done some experiments to that end. I've found David Brin's blog a great place to find out what's happening in science. My favorite example of a solar sail is definitely Count Dooku's ship in Star Wars Attack of the Clones. Literally, ever since I saw that as a child, I thought it was amazing! I honestly don't know how you do it Alex! Seriously impressive. Love your guide to all these movies, even though I haven't seen half of them. Best of luck for the rest of April! Jeremy, I'd like to see another one as well. 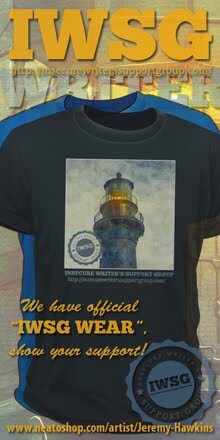 DG, just wait until you read one of the IWSG anthology stories - you might think twice about that download. Some more great tropes here. The jump drive plays hugely in your Cassa stories, but I like your spin on it! And when I saw interactive map, all I could think of was the marauder's map in Harry Potter. I wish I had one of those for the people at work. LOL. An interactive map for me is printed on paper and me using a pencil to mark out a route! *snort* when I read the words "jump drive" my first thought were those USB memory sticks we use to store/save data on! Would The Time Machine by H. G. Wells be considered a kind of Jump Drive? I got my kids into Wallace & Gromit thanks to A Grand Day Out. My daughter was really disappointed when she learned the moon wasn't made out of cheese. She was looking forward to going there someday with a box of crackers. Weren't there light sails in the first Tron? It's been a while since I've seen it. Hmmm...now I'm thinking I'll just go rewatch it. Moon Walk! I'd love to do that! I have always said that the only thing I would wait in line for would be a trip to the moon! Guardians of the Galaxy in 3D does sounds cool. And I'm off to Nicola's blog, I love her stuff! Marvin the Martian is cool! I really like how your incorporating other bloggers into your A-Z challenge post. That's nice! Isn't it interesting how Jump Drive is a Sci-fi term- traveling space...and now we have jump drives for computers- basically a way to store things off the computer to travel through space- giggles- to another computer, laptop, printer etc... at least in Wyoming we call them jump drive, travel drive, or usb drive. Also, want to tell you Cathy who theme is vintage ads has a list of people from the A2Z Team on every Post she does so I am going to Post the same people every day if you don't mind... it gives me a good start on correspondences too don't you think? Yes, thanks to Cathy she's such a sweetie! Gotta love her!!! Hi, Alexa. Thanks for the intro into your world of sci fic. Glad to have met you. Hi Alex...just stopped by Pat's site (man that guy can take great pictures of cool stuff) and wanted to stop and say hi. I forgot it was April and that was A-Z time! I actually saw Guardians twice while I was in The Maldives last November...once in English and once is Arabic! Arabic was while I was falling asleep at night, kind of a traveler's "white noise". Pretty cool movie I must say. Anyhow, you look like a busy man this month and I really don't know how you do it. I LOVE Wallace and Grommit! They are so much fun. If one is in need of a laugh, it's a sure bet! Hello Alex and happy Friday! Event horizon is such an underrated movie. I have always been a huge Lawrence Fishburn fan. Have a great weekend! I'd love to take a walk on the moon, but without having to travel. Return from the Stars by Stanislaw Lem is one of the best science fiction novels I've ever read. It's always on my shortlist of recommendations to people who think science fiction can't be literature. Wow, my head is spinning with all that. I <3 Guardians. Event Horizon sounds familiar, but I don't think I've seen it. I haven't seen Guardians of the Galaxy yet, but I did enjoy the new Tron. HA! Marvin the Martian!!! As for that knowledge engine... is that what Siri is? Congrats to Rhonda and Alexia. I cannot believe that Guardians of the Galaxy was in 2014. Where did the time go? Whoosh! Alex, your knowledge of these scientific terms amazes me. Infact I have been copying them down so that incase I need it in future I will have them in a folder. I bought Alexia's Martinis with The Devil on Amazon and read the first part and fell in love with the kickass + badass heroine Zyan Star. Oh my gosh! Marvin the Martian lol I'd forgotten about him! I'm a little sad over how many of these movies I haven't seen. Great theme, Alex. Thank you for being a continued support at my blog! Have a grand weekend! Alex, I told a student of mine you might be willing to give him some advice about how to write and publish his first book. I hope you don't mind. 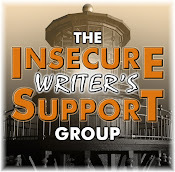 I told him about The Insecure Writer's Support Group. How do you even research all this stuff? this is amazing! and what you said about TRON made me laugh. Shell, glad you like my take on it. Bish, I suppose it would. Elizabeth, they were, I just picked the better of the two movies. Sherry, that's the only way I know how to roll. Marie, feel free to store them somewhere! And thank you. Appreciate that. And I'll have to visit Cathy. Chuck!!! Always good to hear from you. And anymore, I don't know how I do it either. Keith, it's a cool flick. Ivy, and we still have another full year to the sequel! Rachna, glad you're copying them down. Donna, thanks for being a Ninja Minion! Blue, thanks for directing him to the site. I can guide him on finding a publisher at least. Michael Jackson was the King on moon walkers who slide across the floor like it was moving for him, what a show off. He had the whole place yelling in excitement and the crowd sure loved those moves. I love knowing that Gulliver's Travels mentions computers indirectly. For me "moon walk" is inseparably connected to Michael Jackson. It's been twenty years since Marvin the Martian was last on the big screen? Wow. Alex, I hope your A to Z Lite Experiment is going well. I don't know if you are getting any room to breath or not. You're still raking in the comments. I'm tempted to not comment just to make it easier on you, but I think you or your group is assigned to my blog anyway so it really wouldn't help. I haven't even heard of The Dish. Guess I should find it, huh. An interactive map ... how cool, just what I need. Congrats to Lexi, Susan & Nicola for their honorable mentions and making your blog posts. Thanks for the travel book and Martinis with the Devil recommendation. Both sound interesting. I think I will pop over and buy Martinis with the Devil now. I will keep the travel book in mind for my next oversees vacation. 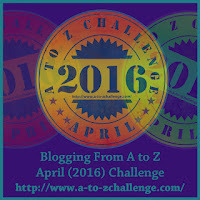 This is very useful information and I'm glad I came to your blog from th A to Z Challenge. The Lite version sounds good. I think a JUmp drive is a very useful thing to have. Cheers to it being invented soon. I'm easing off today with some Pringles, I could have written about delicious sour and cream & onion but that wouldn't have been very sci-fi - truth be told. I might change my mind later but I probably won't. This is making me want to see some of the movies you mention, Alex! Wow, another full year. I'm looking forward to Captain America. But not sure if my immune system will allow me a safe trip to the movie house. Anyway, Happy Weekend and boogie boogie. And I've still never read Gulliver's Travels!